From dandy to decaying and back to delightful, the area benefited from an initiative to clean up and manage public spaces. Florida Road on the Berea was long the residence of the city’s well-heeled and leaders, leaving their legacies in a landscape of architectural beauty embracing Victorian and Edwardian-style buildings. By the early 1990s, that heyday had dissipated and the area was suffering urban decay. It received its first wave of urban regeneration when far-sighted investors and property developers began acquiring residential houses that by then were jaded versions of their glory days. It was to signal the original shift in the neighbourhood’s characteristic from a strictly residential zone to a mixed-use one where smaller businesses opened offices and restaurants began stretching boundaries by seating patrons at tables placed on the pavement. However, a decade or so later the area was again struggling against decay, with uncontrolled night life upsetting residents and attracting unsavoury elements that threatened the safety and security of patrons and owners. Letters to newspapers complained about noise and unruly behaviour, and sustaining the urban mixed-use vibe was teetering towards failure. In 2013, following the success of a similar initiative in Umhlanga, local property owners, businesses and community groups banded together to form the Florida Road Urban Improvement Precinct (UIP). Ground services began in October with the UIP tasked with managing the public space along Florida Road’s full length, including properties on both sides of the road. Its aims were retaining existing investment and building investor confidence; creating an environment supporting vibrant and responsible business activity; improving safety, the general environment and the quality of life to wholly benefit its residents and users; and responding to the challenges of environmental sustainability. Brian Wright, owner of the precinct management company Urban MGT, says the positive effects of UIP structures are being felt across KwaZulu-Natal with property values enhanced, business activity supported, and the environment and quality of life for users improved. Urban MGT established the Florida Road UIP and was contracted to manage the initiative. “Urban decay is a reality of most cities throughout the world. The creation of public space management structures is one way to ensure this phenomenon does not negatively affect an area, but instead shifts the focus to growth and urban renewal,” says Wright. The car guard issue and vagrancy were key problems hindering the neighbourhood. According to the UIP’s website, this was affecting every aspect of the road, from perceptions of safety to the quality of the experience for visitors. In 2015, with the support of the eThekwini Municipality, Metro Police Services and South African Police Service Berea, the initiative rolled out the Florida Road sidewalk monitor programme that introduced a uniform, well-managed sidewalk monitoring service from vetted individuals to discourage criminal behaviour. 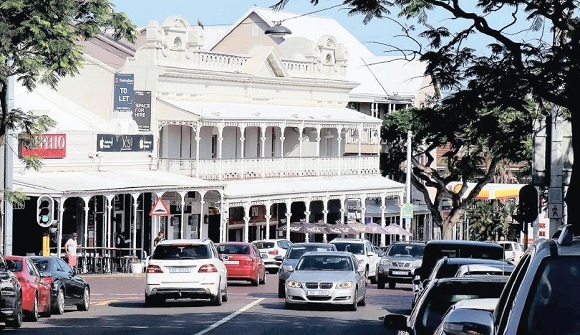 Today, Florida Road boasts a strip covering more than 2km of restaurants, pubs, nightclubs, art galleries and eclectic shops like tobacconists, tattoo parlours or spaces retailing knick-knacks. It has emerged as a prime destination for visitors to Durban as well as the hub of the city’s entertainment on the southern side of the Umgeni River. Restaurants dominate the neighbourhood and range from strictly Durban brands, like Taco Zulu, Afro’s Chicken and the Italian eatery Spiga, to national franchise brands like Steers, Debonairs and Vida e Café, and the latest offerings in the international brands, Starbucks and Pizza Hut. Florida Road is an example of the perfect symbiotic relationship between the serious investor and the UIP, says Yianni Pavlou, company principal of Portfolio Property Investments. This in turn leads to cleaning up of the area. Although there is still work to be done in the precinct, Pavlou – who has personally been responsible for the sale of 11 erven in the road, including buildings that were never initially up for sale before hisinvolvement, and is in negotiations with five or six others – says this Florida Road model will set the benchmark for further regeneration in areas in and around Durban. Wright says the UIP management team constantly responds to the ever-evolving needs of Florida Road – whether that is service levels or special projects – but the fundamentals of managing crime and grime remains the top priority and the foundation of the UIP’s success. Florida Road is an established neighbourhood but has limited vacant land available for development. Essentially now part of a mixeduse environment, there are opportunities for working and living within walking distance. The neighbourhood has good private and government schools as well as social and commercial infrastructure. While a significant number of the properties have been redeveloped and converted into commercial properties, there remains some vacant land and derelict properties that are ripe for development. The Urban Improvement Precinct initiative has invested in the pavements and roads to minimise potholes and broken sidewalks. The highly visible Florida Road monitors, dressed in red, provide community policing and car guarding. The wide variety of businesses that have emerged in Florida Road means entrepreneurs and investors can feed off one another’s successes. This means the sum of the parts is greater than the whole and paves the way for more investment. Commercial development in Florida Road that still retains its Victorian and Edwardian architecture in the original buildings and homes now converted to businesses. 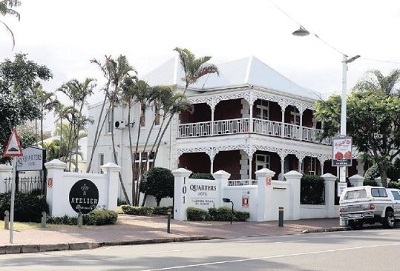 Florida Road has developed into the Berea’s premier entertainment and food centre with numerous casual restaurants and night-life outlets opening along the strip. 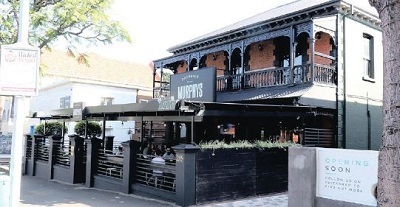 Many businesses take advantage of Durban’s weather and embrace the urban pavement scene. Alongside the entrepreneurial restaurants and pubs that have opened, Florida Road is also home to national and international franchise brands that meet patrons’ demands for a night on the town or a quick drink or bite to eat after work. In line with a mixed-use environment, there are demands for auxiliary services including hair-dressing salons, petrol stations, estate agencies and quasi-government offices or NGOs, like the public transport initiative Go!Durban and the city’s tourism agency, Durban Tourism, or the Community Chest. Florida Road is home to several hotels including The Benjamin, Quarters and Florida Park, as the city anchors a significant portion of its economic generation on tourism. Other tourism-based opportunities, like tour operators and B&B establishments, would not be out of place in this neighbourhood. Quarters Hotel is one of several hotels on Florida Road. It is a prime destination for visitors to Durban.